Former Tripura CM Manik Sarkar. 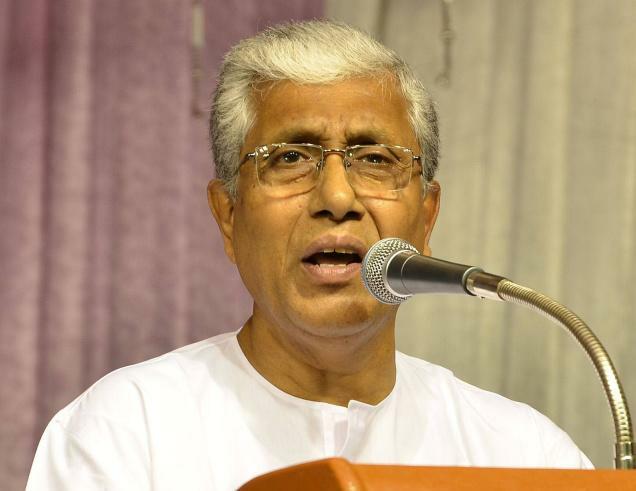 Former Tripura Chief Minister Manik Sarkar on Monday said that until the Citizenship (Amendment) Bill is withdrawn, protests against it will intensify, especially in the Northeast. Addressing a protest rally against the Bill here Sarkar said if it became an Act, it would destroy the fundamental facet of the Indian Constitution. He said the BJP government was determined to make the Bill a law for its narrow political interests despite widespread protests. The Bill seeks to grant citizenship to migrants from six non-Muslim minority groups from Bangladesh, Pakistan and Afghanistan. If it becomes law, “outsiders” could overwhelm the locals in the northeast, political parties say. “Numerous ethnic, religion and linguistic groups, tribals and non-tribals are living in harmony in the Northeast. “Peace has been established in the Northeast after taming decades of terrorism. BJP leaders are fuelling the fire for their political and electoral gains,” he added.